In early Fall and Winter, Squash takes center stage. With so many types to choose from and so many ways to prepare them, they are most likely high on the list of seasonal vegetables. As the weather cools down, they heat up. 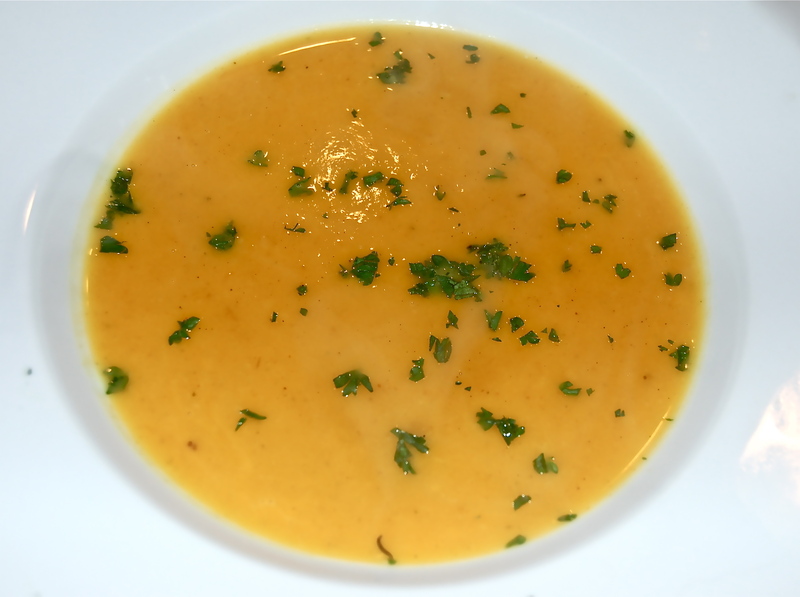 Butternut Squash soup is so popular, Google lists almost 4 million recipes and methods. Hard to believe! 1. Preheat the oven to 350F degrees. Set the squash, cut sides up, on a baking sheet. Fill each cavity with 1/2 TB of the Butter, season with Salt & Pepper. Roast the Squash for about 1 hour & 20 minutes or until tender; cut into large pieces. 2. Meanwhile, in a large soup pot, melt the remaining 3 TB of Butter & the 1 TB of EVOO. Add the Onion, Leek, Ginger & Curry Powder. Cook over moderate heat until lightly browned. Add the Wine & cook until evaporated. 3. Add the roasted Squash, Chicken Broth or Water, Coconut Milk & Thyme sprig. Simmer over moderately low heat for 20 minutes. 4. Discard the Thyme sprig. Puree the soup with an immersion blender or electric blender until smooth. Season with Salt & Pepper. Ladle the soup into bowls & serve. Note: It’s optional to garnish the soup with chopped Chives, Parsley and/or Sour Cream.